Capital Product Partners L.P. to Spin Off its Crude and Product Tanker Business and Merge it with DSS Holdings L.P.'s Business and Operations. Establishment of Capital Gas Corp. Entry into the LNG sector. Evangelos is named “Greek Shipping Personality of the Year” at the Lloyd’s List Greek Shipping Awards. 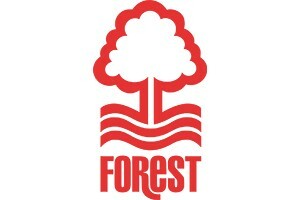 Evangelos announces the acquisition of storied English Championship club Nottingham Forest F.C. 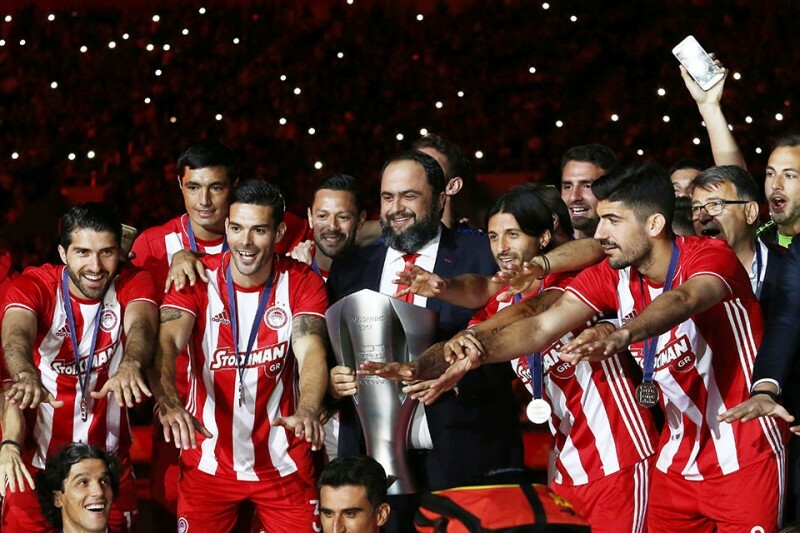 Olympiacos won the 44th championship of its history and its 7th in a row under the leadership of Evangelos Marinakis. 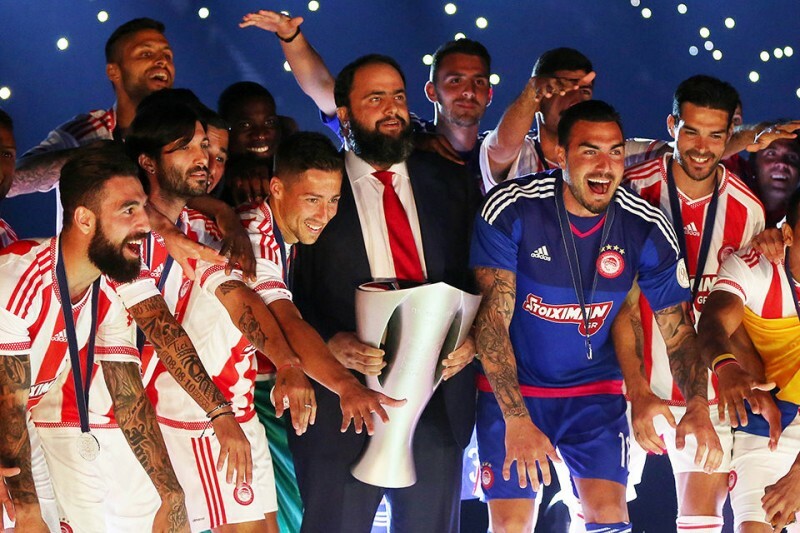 Olympiacos won the 43rd championship of its history and its 6th in a row under the leadership of Evangelos Marinakis. Olympiacos won the 17th double of its history and the third under the leadership of Evangelos Marinakis. Evangelos Marinakis is elected City Councilor of Piraeus with 14,010 votes, the highest vote tally among candidates of all slates. 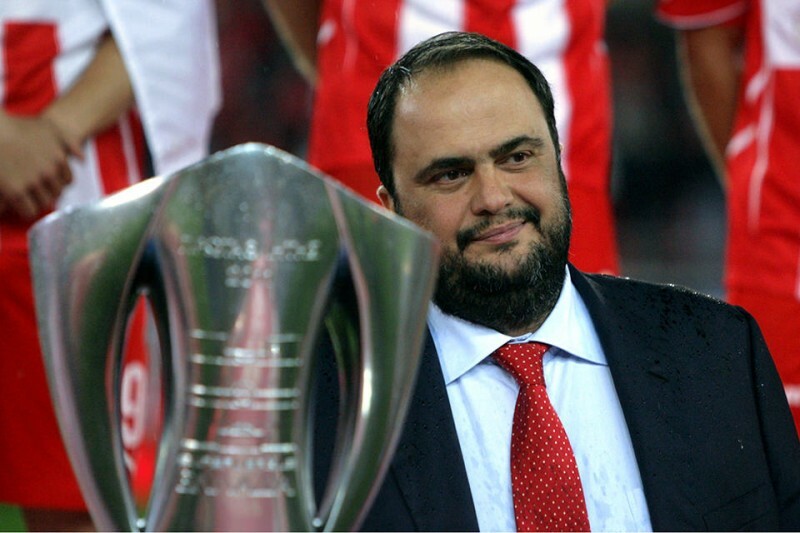 Olympiacos won the 41st championship of its history and its 4th in a row under the leadership of Evangelos Marinakis. Olympiacos won the 16th double of its history and its 2nd in a row under the leadership of Evangelos Marinakis. Olympiacos won the 15th double of its history and its 1st under the leadership of Evangelos Marinakis. Olympiacos won the 38th championship of its history and its 1st under the leadership of Evangelos Marinakis. 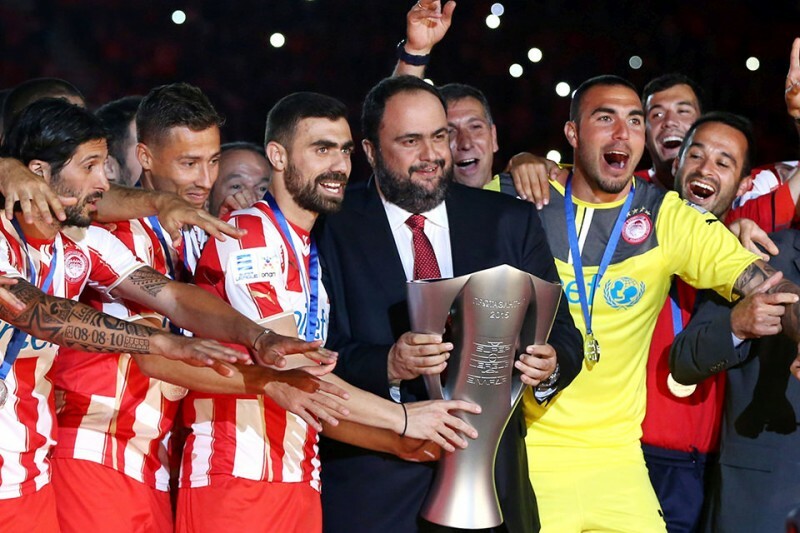 Evangelos Marinakis acquires a majority shareholding in Olympiacos F.C. and becomes President of the Club. 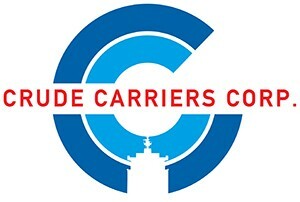 Establishment of Crude Carriers Corp. and listing of its shares on the New York Stock Exchange. Establishment of Capital Product Partners L.P. and listing of its shares on the US Nasdaq stock exchange. 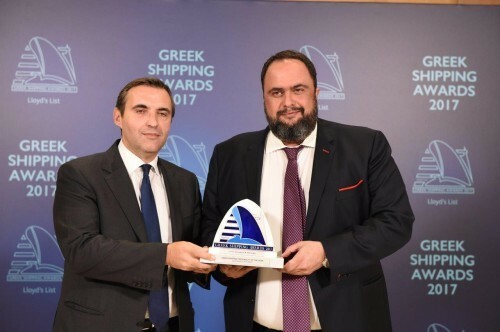 Evangelos Marinakis establishes Capital Maritime & Trading Corp.